As many visits as you like, as many classes as you like. Do you need help to achieve your health and fitness goals? We can help you, from losing weight, to creating lean muscle, strength training and building upon a healthy lifestyle. 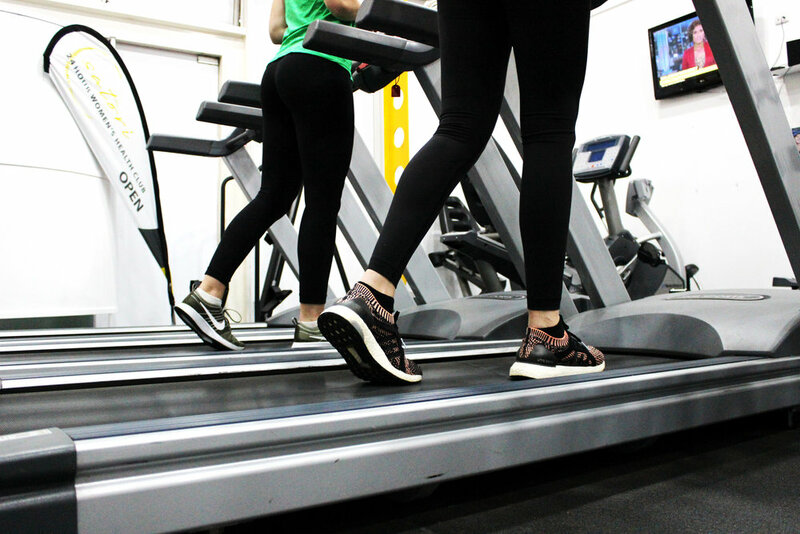 No matter what your starting point is our female personal trainers are with you every step of the way to motivate, inspire, and provide you with a fun training program. With both membership options with built in sessions each week or casual personal training sessions - we have plans available for every fitness level. Satori’s special Mother and Daughter gym membership is perfect for the girls in the family who want to get fit together, or who need a bit of motivation to get their gym gear on and get on down here. Train together or sneak in a few extra sessions if you’re really competitive. And the cost is very affordable — full price for one of you plus only half price for the other’s membership. Are you ready? Our team will help you achieve your health and fitness goals with a flexible, affordable gym membership deal in a 24/7 supportive women’s only environment. If you’re ready, contact us today. Join and sign up to have your membership paid fortnightly via direct debit. This is a ‘periodic agreement’ that you can change or cancel at any time with just 2 weeks’ notice. Or if you’d prefer to pay up front, you can join for 3, 6 or 12 months, the choice is yours. Every gym is different and we think once you’ve visited ours, you’ll love it. That’s why we’re happy to offer you a free trial visit. If you’d like to organise a free session, try a couple of free classes or just come down for a look around our facilities, we’d love to meet you. We believe everyone should have the chance to feel good about themselves, exercise and keep fit. At a cost you can afford. That’s why we offer a variety of Satori gym membership packages to suit you, whether you want personal training, a personal gym program, group fitness classes, just 24/7 access or to join our 6 Week Challenges. All at a price you can afford.